Episode 102: Diplomacy....is DEAD. (KISS OF THE DRAGON) | Drop Da Mic. 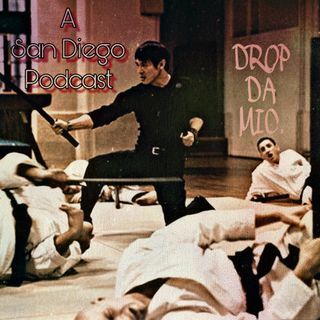 Episode 102 focuses on the early 2000’s martial arts flick, ‘KISS OF THE DRAGON’ starring Jet Li, and Bridget Fonda! We also dive into the recent Oscar winners, as well as tons more pop culture news and weekly recommendations. Music intro/outro by: Admiral Atlas. Mixed and edited by: Wesley Swanson.